Thanks to Broadway World for their thoughtful review (below) and for “getting” Robin’s journey. 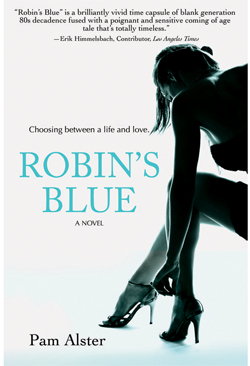 Pam Alster, former TV writer & suburban mom brings a decade of living on the dark side to light in her novel debut Robin’s Blue available now in Kindle and Paperback. www.pamalster.com Find her on Facebook, Goodreads and Twitter @plexigirl.